Ooi Eow Jin, pianist at the Hotel Majestic. Photo by Stacy Liu. 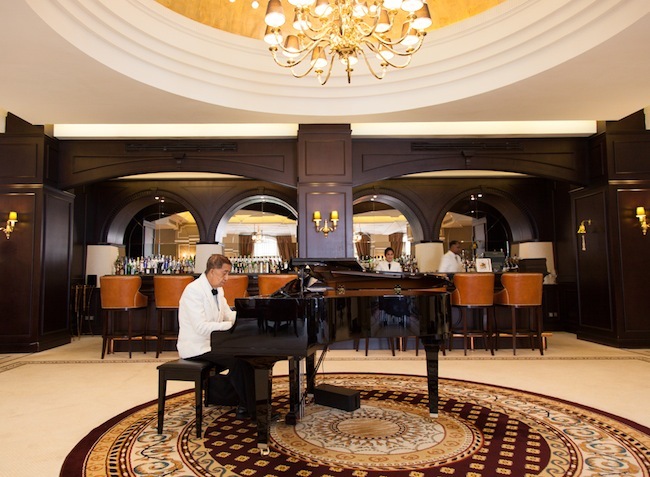 At three o’clock, Tuesdays to Sundays, underneath the gold-leaf dome roof of the grand five-star Hotel Majestic in Kuala Lumpur, a man hunches over a black Yamaha piano. He wears a bow tie, a white jacket, and a hearing aid on his left ear. Slowly, he takes out a small turquoise clock, and leaves it on the left-hand ledge. He places a file of loose sheet music next to him. He takes a pause. Then, he begins to play. For 45 minutes, history’s greatest pop songs are seamlessly twisted in the pianist’s hands. Still, no smile. 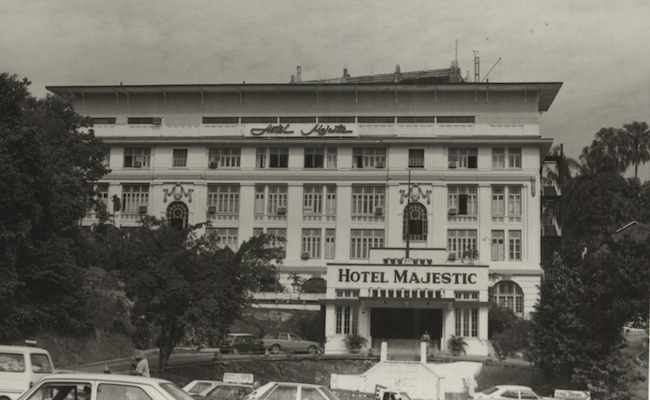 Hotel Majestic —which first opened its doors in 1932, and relaunched in December last year to much fanfare—is a building that doubles as a treasure trove of Malaysian history. 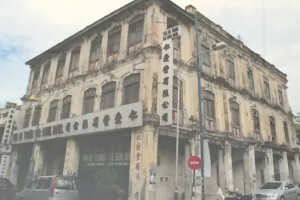 Former patrons claim the Allied forces of World War II conspired within the walls of this hotel; the inaugural meeting of the Independence of the Malaya Party, held by Datuk Onn Jaafar, took place here in 1951. Photo courtesy of the Hotel Majestic. 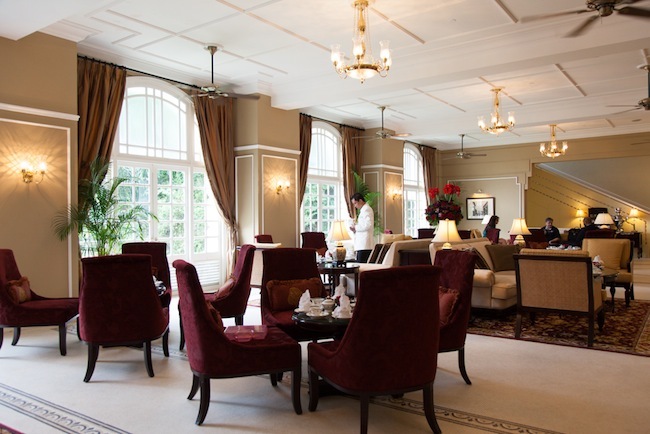 Today, as every day, guests are spending a cloudy afternoon basking in the Majestic’s colonial luxury. A group of girls eat scones on embroidered sofas. Some aunties chatter while sipping the house-blended Boh Cameronian tea. Waiters decked in white jackets walk around in brisk fashion. The only constant is the sound of music that floats in the air, the last thing anyone would remember. Yet, unbeknownst to everyone present in this room, the old man hunched over the piano is Ooi Eow Jin. 38 years ago, Ooi Eow Jin (known to hotel staff as Uncle Ooi) was one of the music industry’s most sought-after composers. 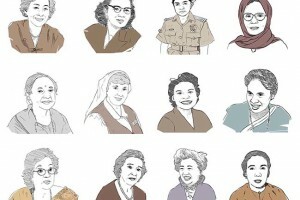 It was Ooi who once toured with P. Ramlee, who conducted the most lauded orchestra in the land, and who wrote the first song ever recorded in a studio by a revered Malaysian singer: Sudirman. Ooi will always have a love affair with hotels. 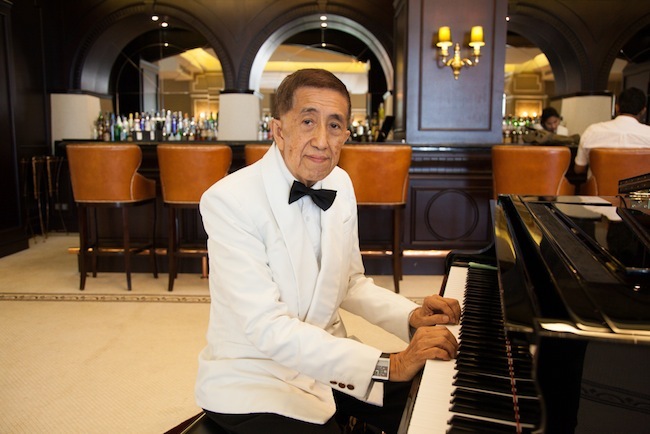 In 1960, he became one of the first resident pianists at the E&O Hotel in Penang, and entertained guests every night in their lounges for three years. On one of these nights, Alfonso Soliano, a jazz hero, music arranger and the founder of the seminal RTM Orchestra, came to the hotel for drinks. “It was at that place when he first heard me,” says Ooi as we sit at a corner of the Majestic before his session. His voice is brittle, strung-out. His thoughts jump between past and present. Sometimes he stops, and leans forwards to ask you to repeat your question. He wonders why we’re sitting here in conversation. Well, you have an interesting life. This was a big deal. Soliano had moved from his part-time job playing keyboards at nightclubs to starting an orchestra at then-Radio Malaya in 1957. When television broadcasting was introduced in 1963, the RTM Orchestra became one of the most widely-watched music acts in the country. The two became friends, and Ooi wrote the first song Sudirman ever recorded inside a studio, a soulful number titled “Teriring Doa”. History tells us that Sudirman would become an Asian phenomenon, pulling in 100,000 people in a Chow Kit Road open air concert, tabbed as “Malaysia’s Number One Entertainer”. Ooi wrote the first song Sudirman ever recorded inside a studio, a soulful number titled “Teriring Doa”. Ooi gets up from his seat, and returns soon after with a CD in his hand. It is a compilation of twenty compositions, a greatest-hits collection he gives out to friends. It’s part of a personal canon that encompasses over 60 Malay pop songs, a nostalgic walk-through of the local music industry’s heyday. A rooftop party. Photo courtesy of the Hotel Majestic. He penned the weepy hit “Masa Berlalu” for singer Salamiah Hassan, the mother of current jazz singer Atilia; other singles include Dahlan Zainuddin’s “Lagu Untukmu”and Yunizar Hoessein’s “Kisah Gadis Sepi”. He wrote the entire soundscape for Yassin Salleh’s blockbuster film Dia Ibukuin 1981, along with the theme song sung by the popular M. Nasir. 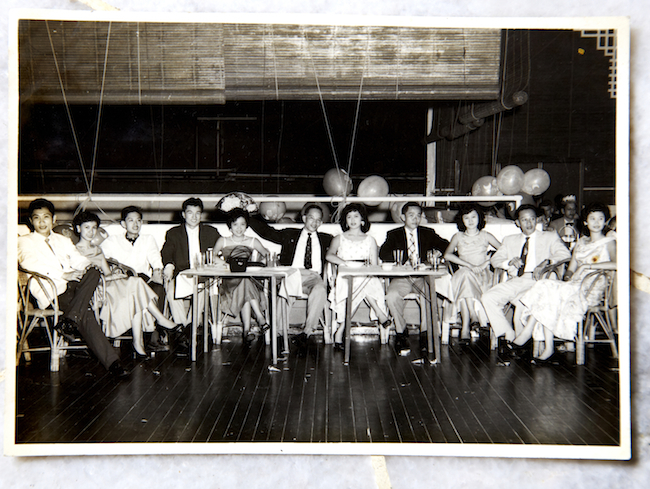 He would rub shoulders with industry luminaries that spanned the entire region; names like Gigi Villa, the Alleycats and Frances Yip all sought out Ooi’s ability to twist an American ballad sound around a Malaysian tongue. “I have something that will knock you down.” He takes out a photograph, and lays it on the table. It is a black-and-white snapshot of a boyish, bespectacled Ooi wearing an army uniform. He is standing next to P. Ramlee on the shores of Sebatik Island off Tawau. Industry luminaries sought out Ooi’s ability to twist an American ballad sound around a Malaysian tongue. 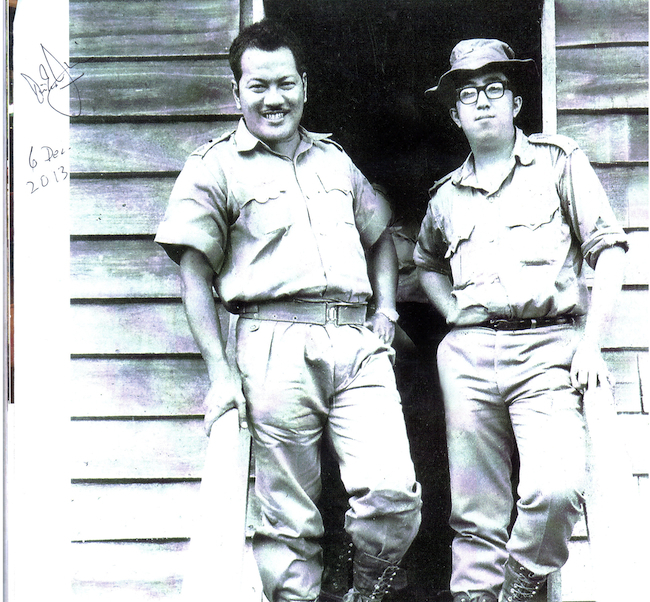 P Ramlee with Ooi Eow Jin, early 1960’s. Photo courtesy of Hotel Majestic. By any generation’s estimation, this is unquantified success. But as Ooi deep-dives through his past, something escapes his grasp like grains of sand. For all the credits, his name rarely comes up in any historical tome of Malaysian music. 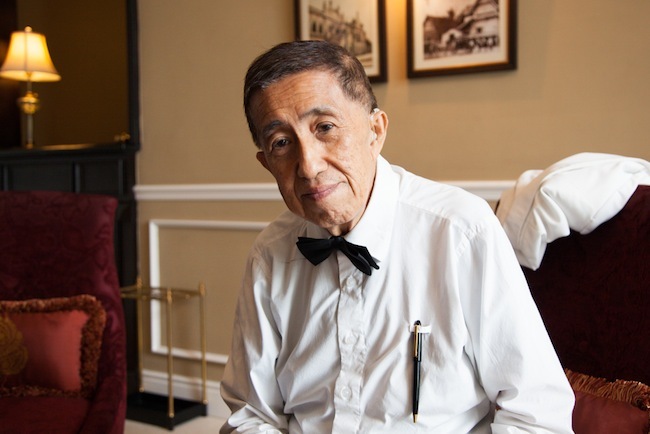 Older guests who come to the Majestic Hotel—some fans of the RTM Orchestra, or simply those who listen to artistes like Sudirman and are homesick for a piece of history—still remember Ooi. “Some will come up and say, ‘Hey, you formerly from RTM Orchestra ah?’ Ya lah, I’m now doing a new job.” By a twist of fate, the Filipino quartet who plays in the evenings after Ooi’s session are the Solianos, a family ensemble who are all children of the late Alfonso Soliano, Ooi’s mentor. He comes to us after his first session. He sits on our table, and a waitress brings him a cup of coffee. Instead of drinking one of the hotel’s hinterland imports, this cup is made from a three-in-one instant coffee mix from Malacca, a sachet he gives to the kitchen to specially brew for him every day. 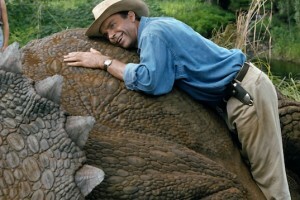 He grabs her hand, and pats it like a grandfather. He leans forward, eyes tainted in fading black. “Did you hear me?” He looks back at us for an answer. Soon, he returns for his second 45-minute session. The medleys will fill the room. But all around him, the music stays silent. 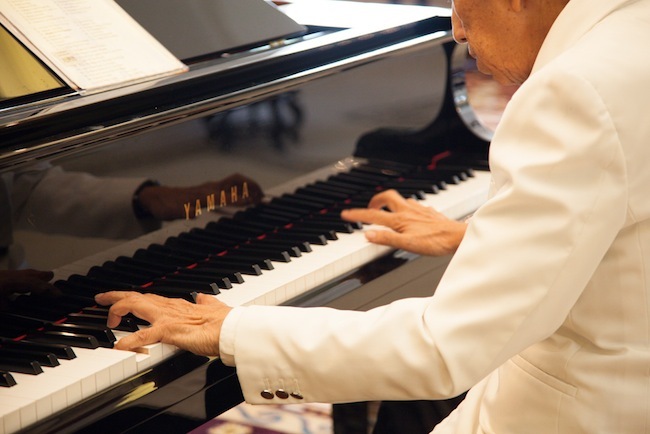 UPDATE: As of 30 June 2015, Mr Ooi has retired as a pianist, aged 77. 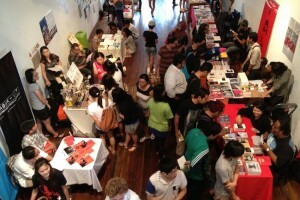 However, friends rallied around by organising a fundraising concert to help the pianist through his family difficulties. On 7 September 2015, Mr Ooi was conferred a Datukship by the state of Penang. Poskod.MY is honoured to have played a small role in bringing wider attention to this music man. Words by Jon Chew. Photos by Stacy Liu. With thanks to the Hotel Majestic for additional photos. 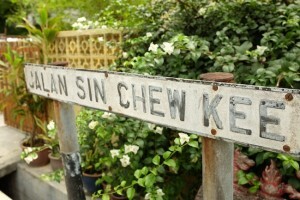 More from Poskod.MY: The Last of KL’s Living Heritage Rows?